PCARC Business Meetings are at the Bay County EOC for Now. We have permission to use classroom 101 at the Emergency Operation Center (EOC) for the Business Meetings at 7 PM on the 1st Wednesday of the month until further notice. The clubhouse in Millville is currently out of service. 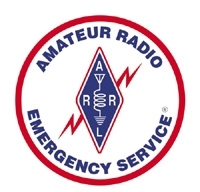 The ARES group will meet the second Thursday of the month at the Bay County EOC at 7 PM. Merry Christmas and Happy Holidays from the Panama City Amateur Radio Club! The story behind the video and the live version below.